Masses of power, grip and adrenalin-fuelled fun, yet also docile when you want it to be. A fantastic all-round drive. Your driving licence may never look the same again. Problems with interlinked dynamic ride control struts, prone to leaking at the seals. RS4 is a very high maintenance cars. Be forewarned. Timing chain replacement recommended at between 50,000 - 100,000 miles, for which Audi dealers charge £6,000. 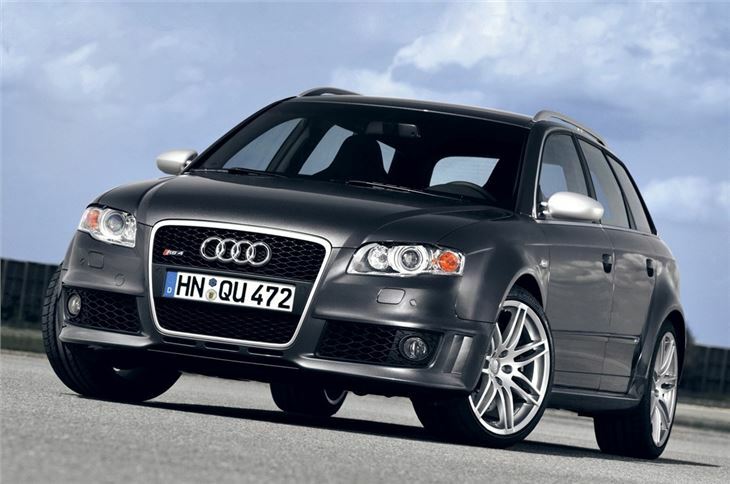 The car Audi used to take on the BMW M3 and managed to combine excitement with a package that did not require as much skill to drive quickly. Even so, on the launch at and around the Goodwood circuit, a certain well known and very popular journalist got pulled by the local traffic police.